Traditional owners: Taungurung. 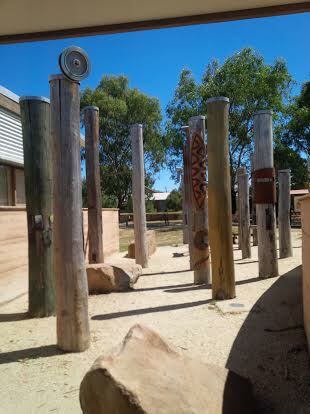 The Yowung-Illam- Balug lived in the area that is now Alexandra, Mansfield and the Upper Goulburn River. Out on a broad plain, and encircled by hills, with distant views of the west side of Mt Buller, whats not to like about this town? 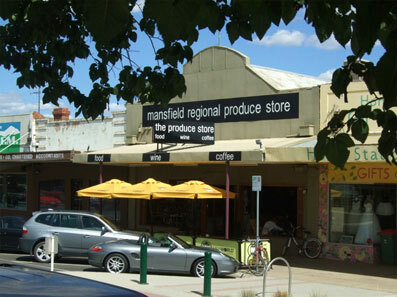 Mansfield was established as an agricultural centre, providing support to gold mining in the surrounding areas, and then logging was a major driver for many decades. 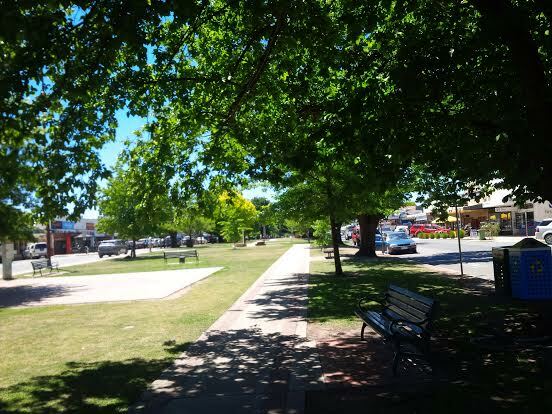 It was one of the first inland Victorian towns to evolve into a diverse tourist and tree change community, largely because it is the entry point to the Mt Buller alpine resort. While the Mountain Cattleman thing is still prominent, Mansfield is now days culturally quite diverse, has a thriving community radio station, and growing regional produce scene. Mansfield has a good outdoor gear store and also All Terrain Cycles, plus a number of ski and board hire shops. There is no one in town that rents good back country skis or splitboards (you can hire good telemark gear at Mt Stirling). Mansfield now has it’s own microbrewery – Social Bandit Brewing Company. The nearest local microbrewery is at Jamieson (their beers are available from the IGA in the main street). For food and coffee, the stand out is the Regional Produce store. Hoffmans Green Grocer has bulk foods and local produce and does coffee, smoothies and snacks. Its a good bet for coffees on crazy busy days when the Produce Store is packed. The AllThings Natural and Organic store is on High Street. The farmers market is on the 4th Saturday of the month, except December. The community web portal for Mansfield can be found here and the newspaper, the Courier is here. There is a nice little ‘made in Mansfield’ store on the main street. In terms of night life, Mansfield has always struck me as a town that’s pretty focused on its pubs. For a listing of things to do, check Mansfield On Line. Check Mansfield Armchair Cinema, a community based cinema. Check Mansfield Arts for details on art related events. The info centre is worth checking. Its on the left as you drive in from Melbourne, near the re-created wetlands. This is here the rail trail comes in to town. High Country Festival & Spring Arts: features art exhibitions, theatre shows, local produce, live music and markets in a two-week festival in late-October. If you’re not a petrol head, its best to avoid town when the Targa High Country rally is on: it’s in November. There is a fairly tortuous bus service from Melbourne, and regular bus service to Mt Buller during the ski season. As the entry point to the Buller and Mt Stirling alpine resorts (alpine and cross country mountains), the Howqua Track and endless mountain ranges, paddling on the Howqua River, and now being the end point of the Goulburn River High Country Rail Trail, there is absolutely truck loads to do. There is a small and very sketchy climbing area at South Blue Range (loose rock, etc). Some of the states best backcountry skiing/ split boarding terrain can be accessed via Mansfield. The front range of mountains: No 3, Mt Stirling and Buller have good winter access. Beyond that, a second range extends from Mt Cobbler in the North, down to Howitt and then westwards to The Bluff. The Howqua Track starts near Merrijig, crosses the river at Sheepyard Flats, and leads up to Eight Mile Gap and then Bluff hut, and gives access to the Mt Howitt and Mt Clear areas and also the Upper Jamieson, which gets you close to Mt McDonald. Beyond here, access is only by foot or 4WD. In a good winter, it is possible to ski from the Bluff to Mt Lovick, and continue over Mt Howitt and ski most of the way to Tamboritha Saddle, which is accessed via Licola in Gippsland. Check here for notes on accessing the Bluff to Howitt region. The other access point (to Lake Cobbler) is from the north. 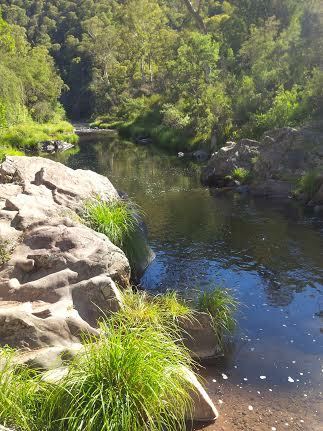 The Bluff itself is a fantastic weekend destination, with a very different vibe to the rounded and gentle Mt Stirling. Mt Stirling offers a ski school and on mountain ‘backcountry’ accommodation and sometimes organises telemark skiing events. Free camping within the Alpine Park and state forests is almost limitless, there is fishing in the mountain rivers, and a number of horse riding companies that do treks into the mountains. If you’re heading to Stirling or Buller and want free camping near the road, the Carters campsite near Sawmill Settlement does the job. Main campsites along the rivers, like Sheepyard Flat, are wall to wall with car campers during peak school hols and public holidays and best avoided if possible. Bike riding. Over the past few years, the Mt Buller resort has invested heavily in developing a MTB network on the mountain and nearby Mt Stirling. There is a bus service for riders between the mountain and Mirimbah that runs in the ‘riding season’. The Tallarook to Mansfield rail trail is the longest in the state, crossing a lot of different terrain. It is now called the Goulburn River High Country Rail Trail and covers a distance of about 134kms. There are commercial tour operators that will transfer you back to the start of the ride. Mt Buller is one of the mountains in the ‘seven peaks’ bike challenge. Check All Terrain cycles for details on bike riding events. There are various mountain running events in the mountains, mostly at Mt Buller. Canoeing & kayaking. In terms of paddling options, the Howqua River is reasonably popular for paddling, best in the spring melt, and easy to get to via the Howqua Track. Human made Lake Eildon is to the west, although pretty dominated by powerboats. Walking. Obviously the mountains are a major drawcard, but the Strathbogie Ranges, to the north of town, offers some lovely wanders through tall montane forests. A good, lesser known day walk fairly close to town is Warambat (Mt Timbertop), which is accessed by a good trail from the Howqua Track, in the saddle between the Howqua and Delatite valleys. Hang gliding. There is a launch site for hang gliders and paragliders, from the top of The Paps, the hills which dominate the landscape on the western side of Mansfield. Well, I only ever drive through it but there’s enough here to revise that practice. But why the big wrap Cam? It’s a bit different from your usual posts. yes, perhaps a bit out of the ordinary compared with most items on this site … maybe you should write the one on Mt Beauty? Good call Cam. Thanks but no. Your Mansfield post is not my style. Good roundup! I can tick most off the to-do list but it’s always good to be reminded of why you love what you love!